Trending Topics - Efficiency: Can we accept less stringent oversight if it means better outcomes? Trending Topics – Efficiency: Can we accept less stringent oversight if it means better outcomes? Let’s talk energy efficiency, particularly state energy efficiency programs. It’s big business; $6.3 billion was budgeted for ratepayer-funded, utility-delivered state-efficiency programs in 2013, alongside $5 billion in private sector investment. The $6.3 billion in utility spending amounts to a doubling over the past five years. But some are beginning to question whether this money could be spent more wisely to achieve greater levels of efficiency. Stories of state programs being mired in detail and bureaucracy, high costs of savings, and problems with cost-effectiveness tests have precipitated conversations about new approaches to ratepayer-funded utility-run energy efficiency programs. As stories like these continue to emerge, now is a reasonable time for policymakers to take a hard look at how to scale-up energy efficiency cost-effectively. To understand all these developments, let us start at the beginning: why should policymakers create targets for energy efficiency? After all, if it makes financial sense for people to pursue energy efficiency in their homes or businesses, why should an additional incentive be necessary? Unfortunately, consumers tend to systematically underinvest in efficiency for a variety of well-documented reasons, and in many states the utility has a disincentive to invest in efficiency; under the oldest and simplest regulatory schemes, lost sales from efficiency tend to reduce earnings for the utility. But policymakers should pay attention to this market failure because good energy efficiency investments don’t only benefit their owners – they lower economic and environmental costs for everybody. In cases where electricity needs are increasing (whether to accommodate population growth, larger housing stock, or retiring power plants), incenting end-users to decrease their energy demand can often meet the need at a fraction of the cost of new generation and the associated equipment to deliver it. So, when customers invest in energy efficiency, system-wide investment requirements drop and everyone saves money. Avoided generation also means less pollution, less impact on the landscape, avoided transmission congestion, and related expenditures. Collectively, these benefits provide a solid rationale for policymakers to pursue energy efficiency. As a first step, regulators can undertake structural reforms like decoupling revenues from the volume of electricity sold (as have half of all states), but they will usually need to go further by setting targets for energy efficiency and offering utilities rewards for meeting or surpassing them. Many states have taken this tack, but it may not be sufficient to stop there. Once a ratepayer-funded energy efficiency program is established, it is important to pay attention to constraints that may limit the programs’ ability to achieve deep savings cost-effectively. The devil is in the details. California’s program, for example, has had a heavy focus on evaluation, measurement, and verification (EM&V), which has eaten up a substantial fraction of program funding, significantly lowering the amount of money that can be spent on efficiency measures themselves. Aside from overspending on EM&V, other challenges may arise. For example, traditional cost-effectiveness tests are incapable of capturing the full benefits of energy efficiency. A majority of states use a Total Resource Cost (TRC) test to determine the cost-effectiveness of utility efficiency measures. However, most states omit non-energy benefits from the TRC, which substantially limits the types of efficiency measures that utilities can pursue. In Massachusetts, narrow restrictions on utility efficiency programs have led to the highest cost per kWh saved of any program in the country, though at the same time Massachusetts has achieved the highest level of savings. These overhead-cost challenges have inspired some to propose a new regime for energy efficiency. Most utility-run programs depend on detailed measure-by-measure estimates, which leads to higher than necessary administrative costs. Future programs may consider rewarding utilities for “negawatts” (energy savings as a direct result of energy conservation or efficiency), without any preference for which particular measure caused them. This is a major departure from line-by-line accounting for individual energy efficiency investments. In this new regime, utilities and contractors would instead be paid based on improvements in long-term performance at the meter. Of course, this transaction would still be based on estimated energy savings, but the idea is to keep things as simple as possible. Some proposals, like Nate Adams’ “One Knob” idea, put the onus on contractors to estimate savings with a requirement to publish all estimates and actual performance, looking at before and after electricity use at the meter. The thinking is that contractors probably best understand how their upgrades will perform, while reputational risk and potential penalties will keep them honest. Other mechanisms for ensuring delivery, like insurance or posting bonds, might be applied here. A second option under discussion is to compute “negawatts” not at the customer meter but at the utility level, or at some large intermediate level like ConEd’s Brooklyn and Queens territory. Energy savings and utility revenue recovery would be measured by comparing total load to a predetermined baseline. This approach requires regulators and stakeholders to develop and agree upon an acceptable baseline ahead of time, which is not necessarily the most straightforward proposition. The baseline has to be long-term enough to give utilities planning certainty, but adjusted at least every three to five years to take into account new trends and more accurate information, including weather, the economy, and population growth, to name a few. Despite the extra effort involved in developing good baselines, though, there are several advantages to this approach. A baseline approach would allow utilities more freedom to choose activities based on their own evaluation of how likely the effort is to deliver real results, and would cut down on measure-by-measure administrative costs. This opens the door for utilities to be more efficient and flexible in pursuing energy savings opportunities. Of course, ensuring that utility efficiency portfolios on the whole (rather than measure-by-measure) remain cost-effective would be an important component of any program like this. This approach also creates a utility performance metric more directly relevant to planning and in line with public policy goals; society typically doesn’t care which measures accomplish savings goals, it is most important to enjoy the benefits of the aggregate savings. A third option is somewhat in-between these two approaches and would use building energy management systems, smart meters and other data to estimate savings in real time for a particular customer. This could be achieved at scale using calibrated algorithms, where actual building operating parameters are used to estimate savings. Johnson Controls has developed this approach for a few large projects, and it could potentially be expanded to other customers who have energy management systems and smart meters. Such systems could even be used for pay-for-performance programs where incentives are per kWh saved regardless of which widgets may have been installed. A nice example of this type of approach is Seattle City and Light’s recent deal with the Bullitt Center to purchase the energy saved through energy efficiency. The agreement relies on the use of an advanced energy meter, the “DeltaMeter,” to track reductions in electricity use relative to the building’s baseline, which are then sold to the SC&L under a Power Purchase Agreement just like an energy generator. This type of approach could be an important new model for energy efficiency. What’s clear is that these options for new efficiency programs could potentially reduce the burden on both commissions and utilities by revisiting the way in which efficiency is unlocked. 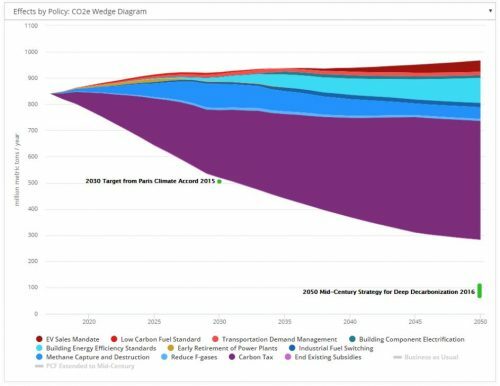 As states and regulators continue looking at ways to modify the existing framework for energy efficiency and pursue deeper savings, they may ask themselves: is it worthwhile to let go of some of the detailed oversight of individual, measure-based efficiency targets and instead focus on overall savings in return for the potential to achieve deeper and more innovative energy efficiency upgrades and lower total costs for customers? Thank you to Steve Nadel, Julia Zuckerman, Jeff Genzer, Peter Miller, Lara Ettenson, and Charlie Buck for their input on this piece. The authors are responsible for its final content.